Another great deal on an RX 480. Two days ago, MSI's RX 580 8GB card was just $220 after a mail-in rebate. If you missed out on that deal, Newegg now has an even better offer. ASRock's dual-fan RX 580 8GB is just $219.99 after a $20 mail-in rebate, and it comes with Assassin's Creed Odyssey, Strange Brigade, and Star Control Origins. This card has a base clock of 1380 MHz, with an OC mode that pushes it to 1435 MHz. It has 8GB of GDDR5 memory, double ball bearings fans, and high performance composite heatpipes. 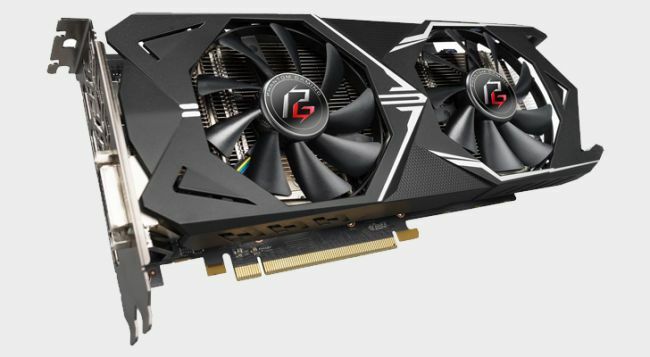 For connectivity, you get three DisplayPort 1.4, one HDMI 2.0, and one dual-link DVI-D.
You can buy the ASRock Phantom Gaming RX 580 from Newegg. The listed price is $239.99, but the $20 mail-in rebate drops the cost to $219.99.